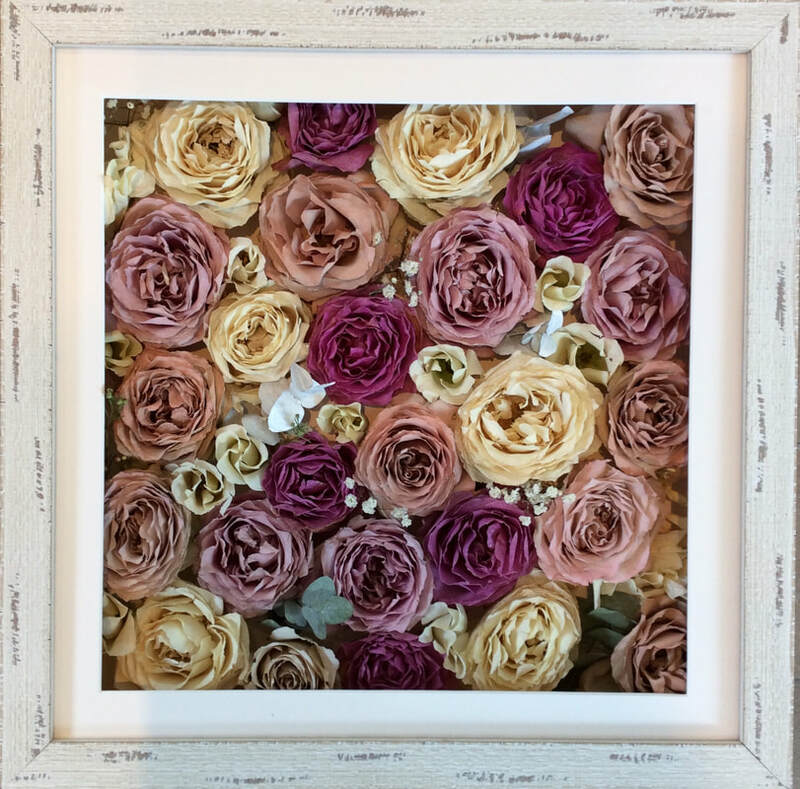 Have your bouquet preserved in a 3D arrangements and framed in a deep box frame. 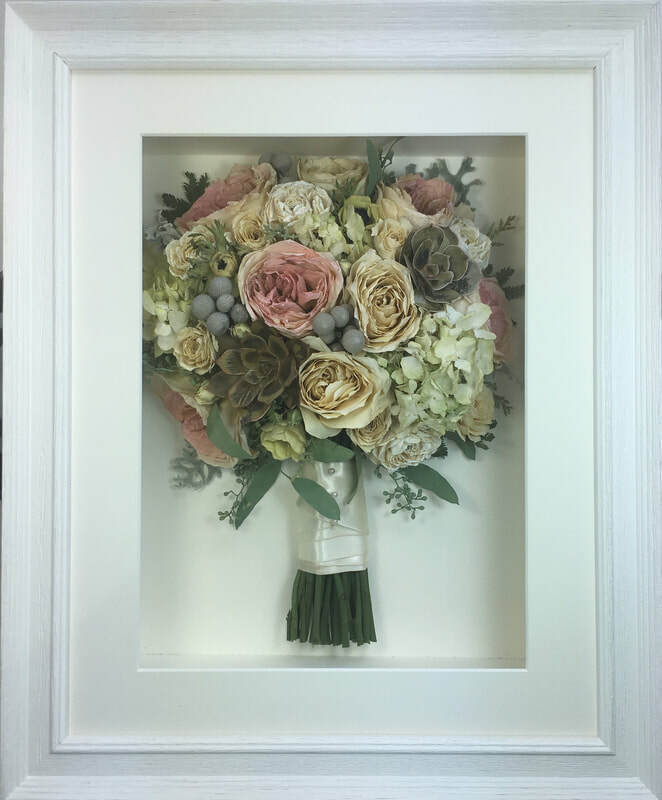 Opt for my signature style where your bouquet is turned into floral artwork. 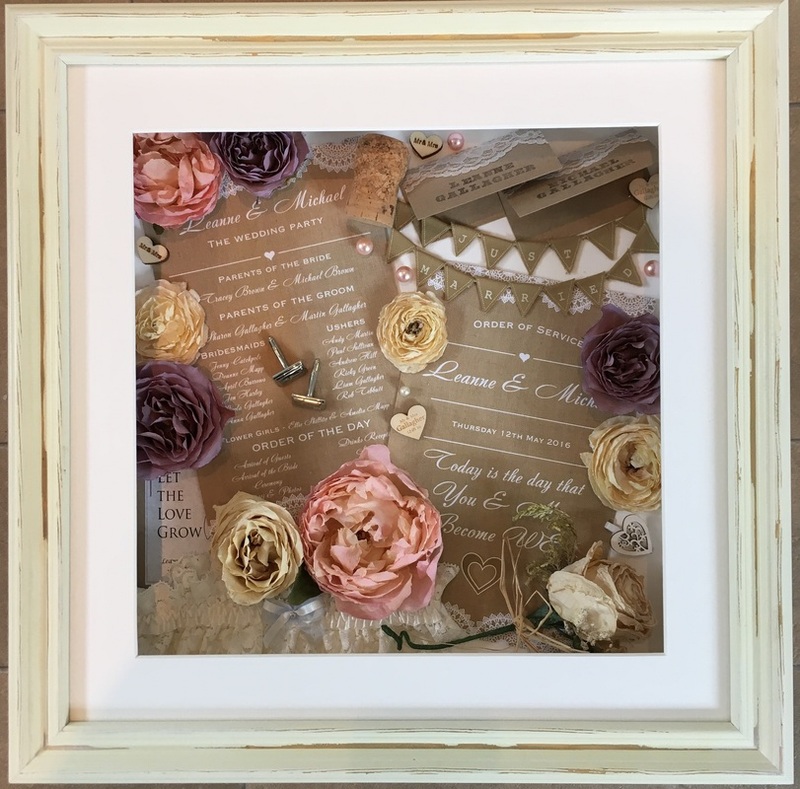 For something truly different, collect any small mementos from your wedding day and I will arrange them beautifully in a frame alongside flowers from your bouquet.